The Revs (1-2) dropped their opening series of the season, losing two of three to New Britain last weekend. After a day of Monday, the Revs are back in action for a three game set in Southern Maryland (2-2), before returning to York for their home opener on Friday. Victor Mateo will make his first career start for the Revs tonight. The native of Santo Domingo, DR, was signed as a free agent by the Rays in 2006, and has spent the past eight seasons in both the Rays and Braves minor league systems. Last season he spent most of his time at Double-A Mississippi going 1-2 with a 4.93 ERA. Most notably he has thrown two minor league no-hitters, his first with Low-A Bowling Green in 2011, and his second with Double-A Montgomery in 2013. He will be opposed by longtime Blue Crab Gaby Hernandez who makes his first start of the season. Last season against York he went 1-2, with a 3.73 ERA in 24.1 IP. Last time he faced the Revs threw a complete game, allowing 1 earned run, and striking out eight, in a 11-1 victory Sept. 5th. Chris Cody will make his first start for the Revs since June 24th, 2014, also against the Blue Crabs. He was a tough luck loser in that game, allowing just one earned run over seven innings, while striking out nine. Now back from a two year stint in Taiwan, and a year rehabbing from injury, Cody once again will toe the slab for the Revs at Regency Furniture Stadium. He is opposed by Justin De Fratus who took the loss opening day, allowing two unearned runs in six innings. De Fratus pitched in 191 major league games for the Phillies from 2011-2015. Frank Gailey got the opening night nod for the Revs in New Britain, picking up the win. He went five innings, allowing five hits, striking out four, and did not walk a batter. Last season Gailey led Revs starters with a 3.14 ERA and 100 strikeouts in 123.1 innings pitched. Pat Misch was an enemy of the weather in his first start, as he was pulled following a rain delay of 1:07, after just a half an inning of play. He allowed three runs on three hits, but took the no decision as Southern Maryland would come back to get the win. The Revs and Blue Crabs will meet 19 times this season. York won the season series last year, going 14-6, with identical 7-3 records at both Regency Furniture Stadium and People’sBank Park. Listen to all three games on 1350 WOYK beginning each night at 6:15 p.m. with Darrell Henry and Matt Present on the call. Tonight the Revs open the 2017 season with the first of a 6-game road trip beginning with a three game set against the New Britain Bees. 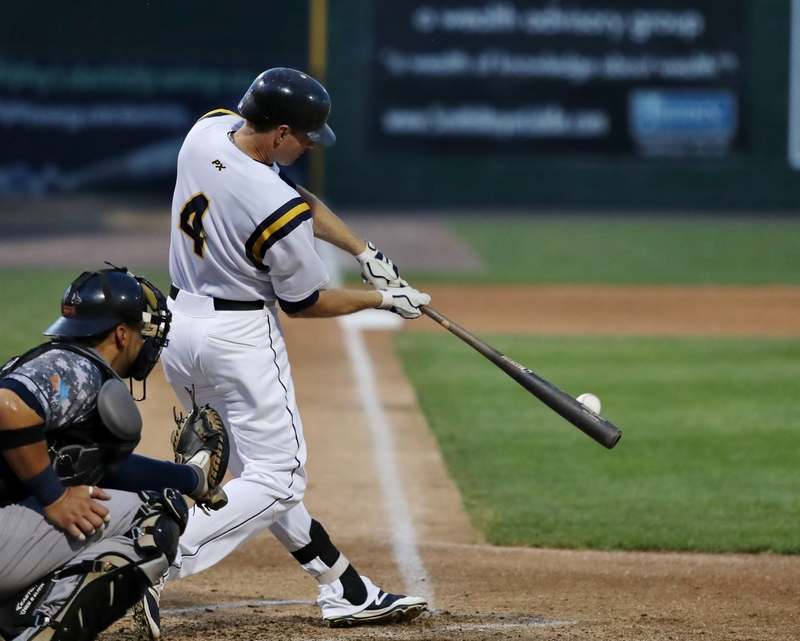 Last season the Revs went 14-6 against New Britain in the Bees first season in the Atlantic League. Left hander Frank Gailey will get the opening day start for the Revs. Last year Gailey went 6-5 for York in 20 starts, with an ERA of 3.13 and 100 strikeouts in 123.1 innings pitched. Gailey will be opposed by Bees right hander Casey Coleman who split 2016 between the Rays and Mariners systems, compiling a 4-1 record and a 2.59 ERA, while working exclusively out of the bullpen. Déjà Vu: The Revs also opened the 2016 season in New Britain, winning 3 of 4, marking the first time in team history that the Revs have opened against the same opponent in back-to-back seasons. It’s also the first time that York has opened on the road in two straight years, since beginning on the road their first three seasons 2007-2009. Only four players who appeared in opening day 2016 for the Revs are on the 2017 roster. They are Joel Guzman, Bryan Pounds, Ty’Relle Harris, and Michael Click. Open for Business: 2017 marks the 11th season of Revs baseball. The team is 6-4 on opening day, including a 4-3 victory last season against New Britain to begin the season. After losing on opening day in back-to-back years in 2007 and 2008, the Revs won four straight opening days 2009-2012. 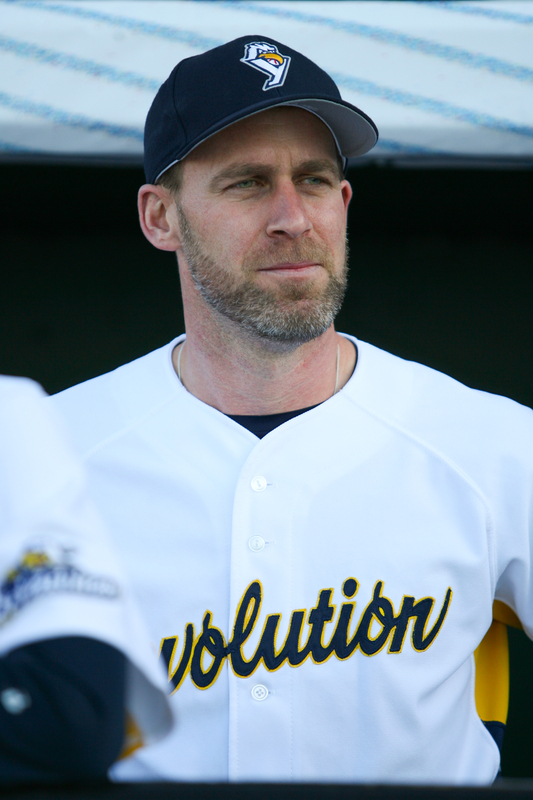 At the Helm: Mark Mason enters his 5th season as manager of the Revs, becoming the longest-tenured skipper in club history. Mason enters the year with 283 wins, as he surpassed his predecessor Andy Etchebarren last season as the winningest manager in club history. Mason has been part of 504 combined wins with York (221 as pitching coach, 283 as manager). The 2017 season marks Mason’s 8th on staff in York, joining bench/hitting/3B coach Enohel Polanco as the longest-tenured member of the coaching staff in club history. Polanco also enters his 8th season, while pitching coach Paul Fletcher enters his 4th on Mason’s staff. Youth Movement: Nineteen of the thirty players on the roster are under the age of 30, with reliever Hawtin Buchanan being the youngest Rev. Buchanan turns 24 years of age on April 29th, while Steve Janas, Melvin Mercedes, Isaias Tejeda, Angel Franco, and Brandon Thomas were all born in 1990 or later. Need for Speed: The Revs 2017 outfield might be the fastest trio to ever patrol the confines of People’sBank Park. While the squad is fast top to bottom, they are highlighted by four speedsters in Travis Witherspoon, Alonzo Harris, Jose Constanza, and Derrick Robinson, who have all posted 40+ steal seasons in the minors, paced by Robinson who stole 69 bases with High-A Wilmington in 2009. Catch tonight’s game, and every game this season on 1350 WOYK and woyk1350.com. Darrell Henry will be live from New Britain at 6:15 p.m., with first pitch set for 6:35 p.m..
For several years now, former teammates of Mark Hendrickson encouraged the 6-foot-9-inch pitcher to get into coaching. Former skipper Buck Showalter was noted as trying to push Hendrickson into the coaching ranks as early as 2012. So the fact that Hendrickson was recently named the pitching coach of the Aberdeen Ironbirds, Low-A affiliate of the Baltimore Orioles, is not surprising. The fact that Hendrickson’s pro career did not begin in baseball, most certainly is.